It was always a fantasy of mine to elope in Cape Cod. 4th of July in Martha’s Vineyard was the first peek I had into the magic of summers in New England. Ever since then, I’ve been an advocate for couples from anywhere in the world who feel the same way about this special place to opt for an elopement package in Cape Cod. Anyone who’s going against the grain by choosing to elope is someone I’m already a fan of but choosing to have an elopement package in Cape Cod of all places makes me certain we’ll get along well. Here are a few factors to consider for your Cape Cod elopement package! Is Cape Cod A Good Place To Elope? For those still weighing their options on where to elope, I couldn’t recommend Cape Cod enough. If you grew up in New England, a Cape Cod elopement package might not have the same allure as a more distant location but it’s one of the best places to elope in the entire east coast. With miles and miles of coast to choose from, it’s perfect for any couple that loves the ocean, even if it’s not the warmest swim most of the year. What Cape Cod lacks in views, it makes up for with charming houses, abundant beautiful beaches, and incredible history. I’ve lost track of how many quaint villages fill the coast, each unique and worth seeing for a different reason. If you love seafood, rolling dunes, and historical villages, then you should absolutely go with a Cape Cod elopement package. As wonderful as Cape Cod may be, it doesn’t have the advantage of locations like Mexico or Los Angeles that are well-suited for an elopement almost all year round. Here’s my advice for each season! Summer: For those who are more inclined to warm, sunny days, I’d make sure to look into making the trip anytime from June until early September. Summer is the most popular time to visit Cape Cod for a reason, it’s an absolute dream when it’s warm and the warm is suitable to swim. Good light is almost guaranteed during the summer, so I’d strongly consider it for any couple who likes warm sand and wouldn’t want to shiver for their portraits. Autumn: If you’re accustomed to the New England cold, I’d especially suggest an Autumn wedding for those choosing a Cape Cod elopement package. Fall in the northeast is one of the most beautiful times of the year and, unlike the wintertime, you don’t have to sacrifice being freezing cold for a gorgeous setting. 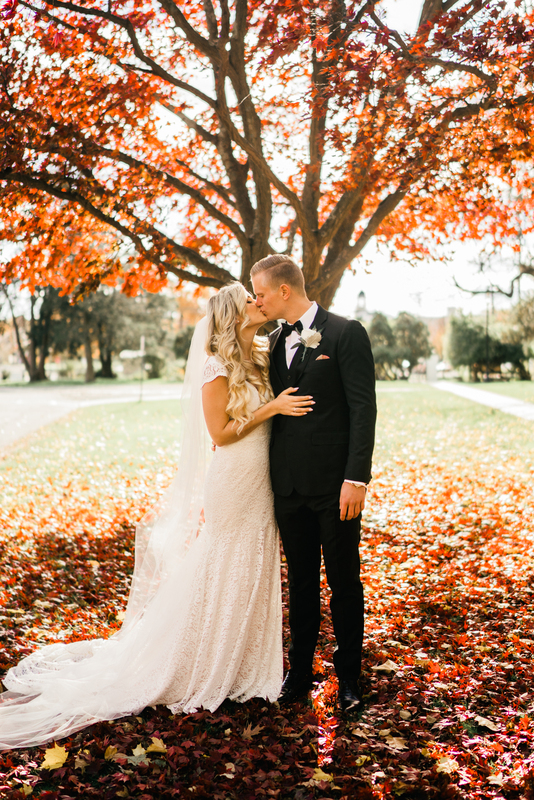 A fall elopement package in cape cod would be filled with the autumnal oranges and reds that every elopement photographer looks for to make stunning photos. Winter: The advantage of a winter elopement in Cape Cod is worth seriously considering. In contrast to the summer, the cape is quiet and peaceful, which means there’s little chance your elopement would be interrupted. Many of the same iconic views you’d get in other seasons are unspoiled by crowds during the winter months. The catch is, of course, the weather, which you can expect to be unrelentingly cold and rainy. If you aren’t deterred by wet snow, I encourage anyone to read this beautiful New York Times article which was clearly written by someone with an affection for the cape. Spring: Everyone who experiences cold winters knows the magic of spring. Spring weddings are so popular because they’re times when everything is in bloom, wherein the theme of starting something new is almost written by nature herself. Although Spring may start in March, Cape Cod doesn’t seem to realize it’s starting until early May, so I’d hesitate to book an elopement package in Cape Cod until then if you’re hoping to avoid the residual bite of winter throughout April. Where to Elope on Cape Cod? Cape Cod is divided into 15 towns, each with many villages that make up the character of this incredible place. Although not technically on the cape, both Nantucket and Martha’s Vineyard make for more than suitable spots for a Cape Cod elopement. Places like Nantucket are a true slice of American history, so much so as to be classified as a National Historic Landmark District! With more than 400 miles of shoreline, it’d be hard to choose a place to elope but I wouldn’t steer anyone away from the artsy and electric Provincetown, at the very tip of the peninsula. My personal favorite is Barnstable, the largest town in Cape Cod and where I’d say offers the most options for a couple looking for an elopement package in Cape Cod. The reality is, if you’re eloping on Cape Cod, there’s not a whole lot that could get in the way of you having an amazing experience. Whatever Cape Cod elopement package you end up going with, you’re going to have an incredible time and just as incredible photos. It’s nearly impossible for this Northeastern gem to produce photos that are anything less than extraordinary, so have no fear! I love to be helpful in any way I can for couples who are choosing to take this untraditional route so for anyone with more questions or comments, make sure to fill out a form submission or give me a call at 786-270-8527. I hope I can be a resource for you and your future spouse for any of your Cape Cod elopement package needs!